Now one of the most easily recognizable art styles, pop art owes its distinct style to the fact that it embodies a certain cultural age spanning approximately twenty years. Pop art initially drew from abstract expressionism, when it first appeared in Britain in the mid-1950s. The movement rejected the tropes of the fine, classical art of the era and drew from pop culture, reimagining the style as a challenge to the current trends. Later in the decade, the movement reached the United States, and artist such as Larry Rivers and Jasper Johns pioneered the creative change. Pop art drew from aspects of popular culture such as magazines, advertisements, movie posters, and more, juxtaposing them and sometimes just placing them next to each other for no discernible reason. Even comic books and isolated recognizable objects of societal culture were incorporated, and pop art began to resemble an art form of American commercialism. The use of these pieces was handled with a heavy intention of irony, often juxtaposing the childish side of culture with the seemingly serious, to show that the two were actually coming from the exact same place. 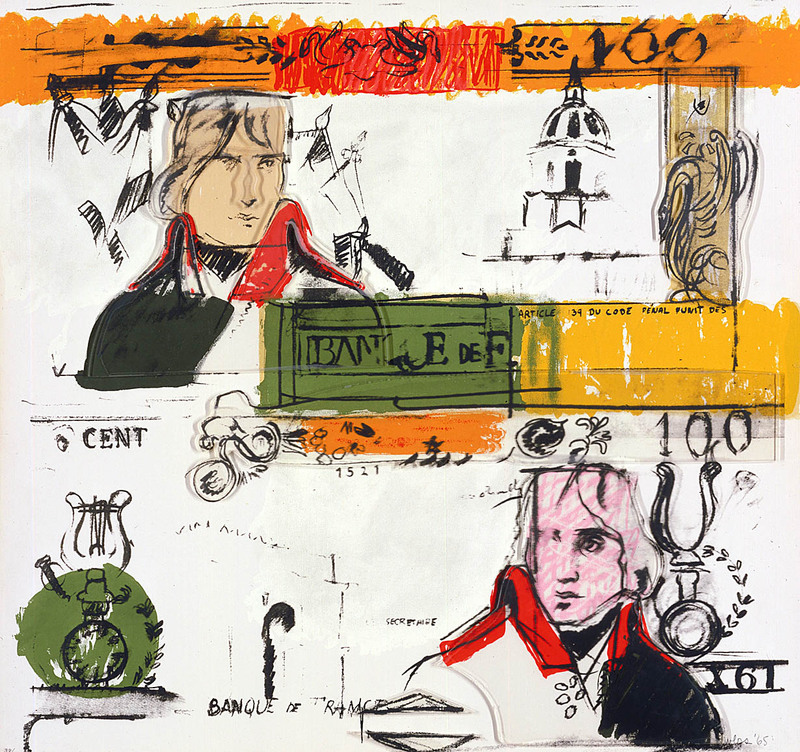 In the ‘60s, artist Andy Warhol became a big name through his use of the medium and styles associated with pop art. He was one of the key efforts in helping pop art reach its goal of making indistinguishable the line separating fine art culture and that of the mass-produced market. The body of pop was ironic juxtaposition and the exhibition of the banality of both culture and the separation between high-class and low-class art. The movement itself, therefore, holds stark contrast to the artistic cultures of the preceding era, that of the many artistic forms of abstraction. Whereas those art styles strove to take something small and search deep within it in order to expand on the meaning and soul of it, pop art took a walk in the clear opposite direction. Ambivalence and overall apathy toward the underlying sanctity of so-called high-class art, as well as deeper meaning in general, is what gave pop art its controversial foundation. Though pop art did mostly disappear in the 1970s, and the movement as a whole had already spread its message successfully enough that it was no longer “needed”, the style has survived due to its inherent recognisability. Used in many things, pop art has even appeared in modern video games and online gaming sites. Sun Bingo has even used the style as inspiration for the site theme and design direction, and the retro feel of it really pulls it off. The Museum of Modern Art in New York City has an active section dedicated to the pop art movement and style, and in other, bordering exhibits it is possible to discern pop art influences. Since pop art itself is at its core an appropriation of the then-modern culture of commercialism and mass-media, the fact that the movement is being borrowed from by other styles and artists is at once an extension of the movement.